Finally there’s some good news. Yesterday our neighbor’s son and daughter-in-law were allowed to return home. Recall that they live about a mile and a half from us, across Highway 273, on the west side. We took that to mean that the threat of imminent immolation had dropped substantially. And events appear to bear that out. Other neighborhoods too are being repopulated, roads are being reopened, and finally there’s a sense that we might all survive this. Though the fire has grown pretty substantially since my last post — from 88,000 acres to now 110,000 acres — so has the percentage of containment, which now lies at 27%. 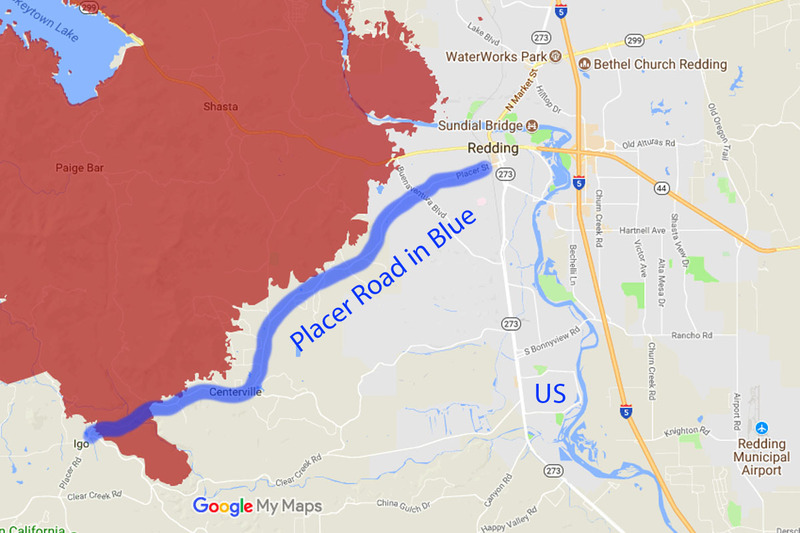 And the firefighters seem to have held the southeastern border of the fire at Placer Road, which has become the Maginot line of this particular battle: effective where it lies, but still at risk of circumnavigation. 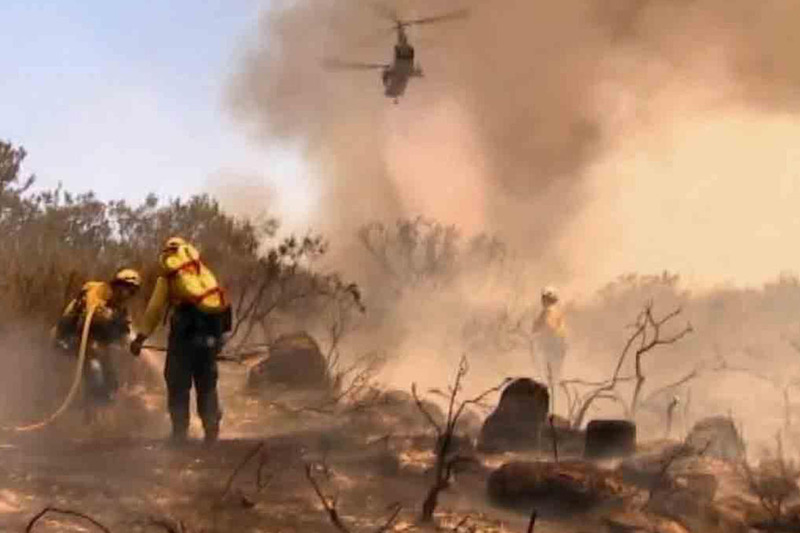 And as long as the wind remains calm, it looks like CalFire might finally gain the upper hand. Yesterday the smoke was the absolute thickest I’ve ever seen it anywhere outdoors. I drove around a bit in my SLK and filmed some video. But it’s hopelessly long, and doesn’t much hold together when edited, so I’m debating whether to publish it at all. Also the SLK is noisier than the other car, which didn’t help the audio quality any. But today, the smoke seems to be lifting, at least over our house. You can no longer look at the sun with impunity, and there are now actual shadows on the ground. Though the air is still acrid with smoke, which remains plenty visible, at least it’s moving in the right direction. We also brought the cars back home. Now I’m just wondering whether it makes sense to wash off the ashes, or just wait until they stop falling. But even that has diminished. For now I’ve opted for option two; I’ll just wait. So things are looking up. Though we haven’t yet unpacked the getaway car, and the house still smells smoky, we’re feeling much safer. Thanks to all of you who commented, emailed, phoned and otherwise offered your kind support. It really helped. Glad to hear things are looking better! Hola Franz, yes things are incrementally better, but still very smoky. But we’re moving in the right direction, which is what’s important. Saludos and thanks for your comment. Hola Laurie! Thanks so much for the kind words. Support from my friends like you has made this whole ordeal much more manageable. Saludos and thanks for stopping by! Hola Barbara! Yes! I’ll second that thought! Saludos and thanks for your comment. Yes, it is good to hear something good from that fire! We are driving out to Alberta in August and that will take us close to our own fires in BC’s Okanagan Valley. We will miss the fires but there is a lot of smoke in the air! Hola Croft! 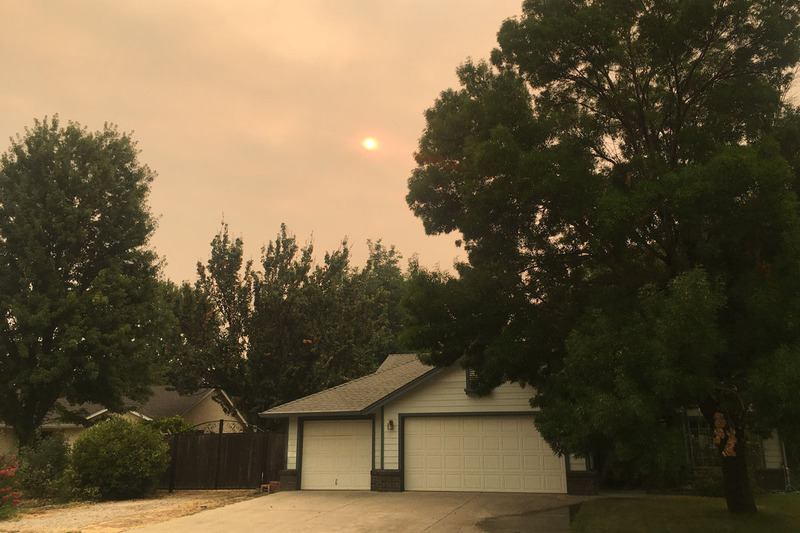 Along with Facebook, Google, fine wine, and a host of other products, California has now become a powerhouse in the smoke-export business. In fact I think we’re running an unhealthy surplus in that department. All kidding aside, thanks for stopping by. Saludos! It’s great to finally hear good news from your quarter! Thank you, Ms Shoes! We are delighted. Now only if we could get some clean air. Saludos and thanks for stopping by!